The first rule of good writing is to love what you do! Of all the jobs I’ve ever had, writing is hands down the best. I put my heart and soul into what I do. I feel with my characters – I think about how somethings feels and I have my characters describe that for the reader. I have been known to write a scene based purely on what I’m feeling at the moment. If I go somewhere, then so do my characters. I try to describe what I see, smell, hear and sometimes even taste. If I can experience something and describe it well, then I can transport my readers to that place. When you love what you do, it shows. 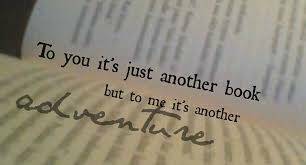 Writing is my adventure. Go out and discover what you love today! This entry was posted in Author Tips by Lauren Lynne, author. Bookmark the permalink.